Today, procurement entails far more than simply purchasing the highest quality materials and services on time and at the lowest costs. 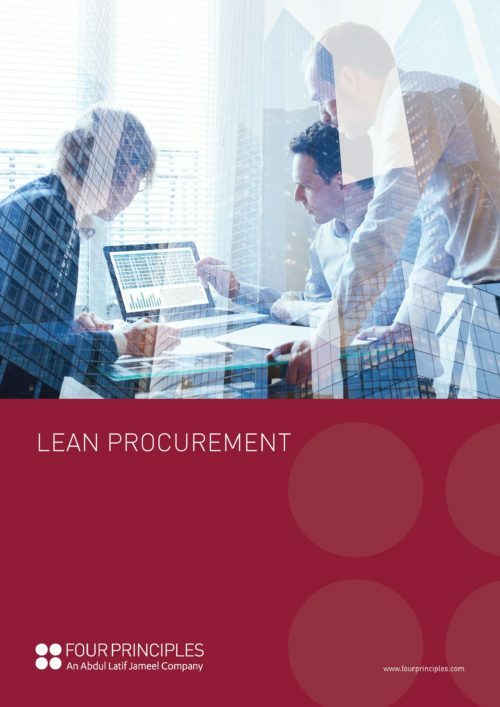 The modern procurement manager’s responsibilities extend to market research, vendor evaluation and integration and establishing fundamental operational requirements. At Four Principles, we help clients recognise the difference between procurement activities that constitute “necessary waste” and those that create value. By doing so, wasteful activities and processes can be eliminated, enabling dramatic improvements to a company’s cash flow and bottom line. Surprisingly, the manufacturing activities of most organisations add less than 25% of the total product value. Much of the value-add is achieved at other, earlier points of the supply chain, where significant potential for reductions in lead time and cost, as well as a great deal of scope for quality improvement, can be identified and acted upon. However, the challenge frequently lies in establishing a concise, focused picture of the supply chain, an area which many companies lack clarity and struggle to pinpoint and separate value from waste. A key factor is the elimination of excess inventory. By establishing a situation whereby the next stage of process “pulls” products or services through the value chain not only stabilises the entire value chain, but also improves the balance sheet by reducing Work-in-Progress. Instead, a just-in-time inventory policy is put in place as part of a clear and standardised process to source parts or materials. Similarly, it is easier to integrate suppliers into flexible production processes when they are all assessed and selected the same way and share the same purchasing structure – thereby enabling greater reliability and flexibility and more agile procurement and production processes. Four Principles specialise in enabling companies to meet fluctuating customer demand and market volatility, optimising buying quantities and transitioning from reactive to proactive procurement practices. By doing so, our clients are able to reduce their working capital investment, carrying inventory at the right levels yet remaining able to respond quickly to changing market conditions and shifting demand.